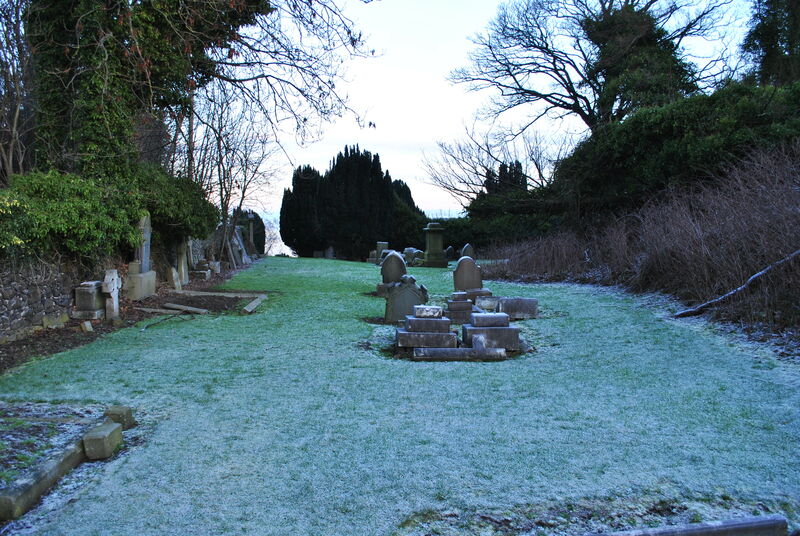 A graveyard is a place of peace, of mourning, and of thought. There are many things to think about on a graveyard: death, life, time; you think of loved ones and of others, of happy moments and of sad ones. But one thing you hardly ever think about is health and safety. Why should you? You are standing in a graveyard. The tragic death of a boy in Glasgow in 2015 changed many minds about that. The eight-year-old was killed by a large stone memorial from the 1920s that had fallen over while he played underneath it. A tragic and terrible accident. One that “might have been avoided” ruled the Glasgow Sheriff Court. 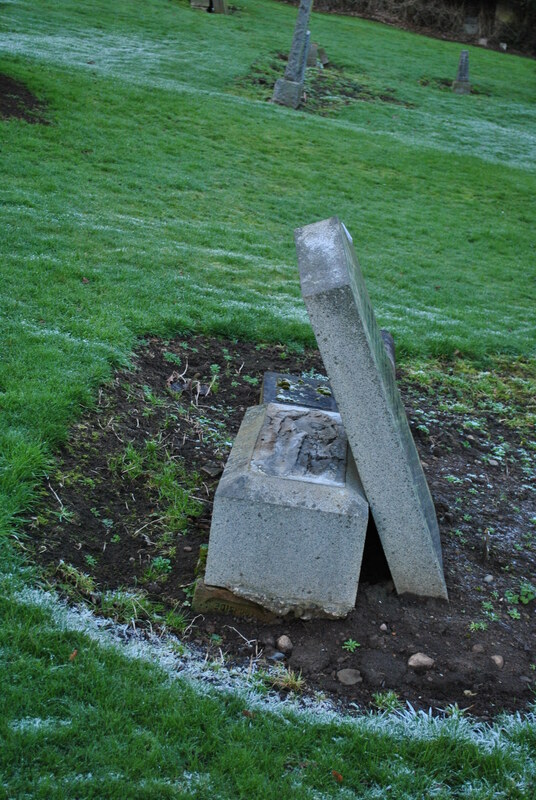 Glasgow Council carried out safety assessments and secured further headstones by laying them flat. Up to then no system of checking and securing graveyards had been in place. Inverkeithing in Fife has now tackled the problem, too. 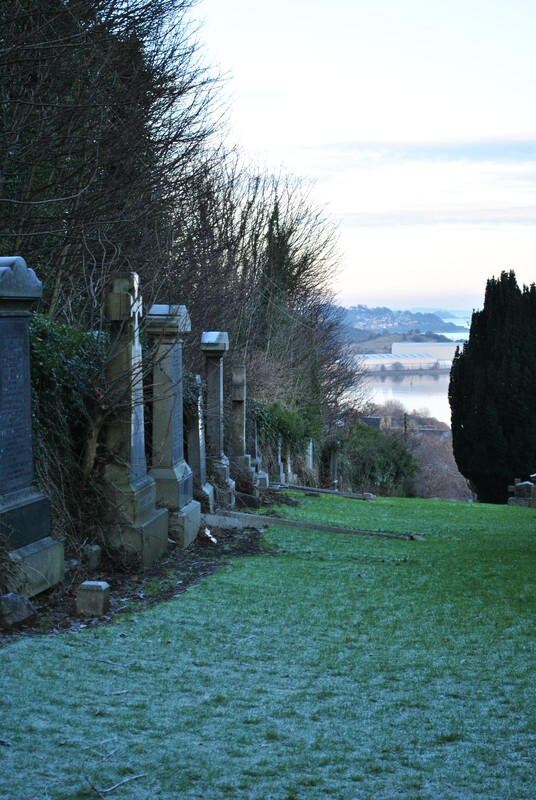 The graveyard in Hope Street spreads on a slope which heightens the danger of a heavy headstones toppling over. 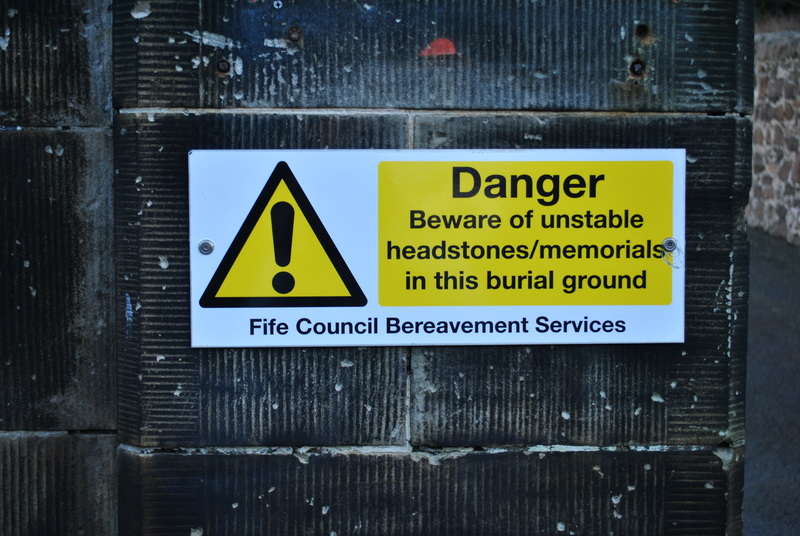 Safety inspections began early 2017 and in 2019 a large number of headstones (considerable smaller than the one in Glasgow but still heavy and potentially dangerous) have been made safe by cutting them and securing them on the ground. The council has a duty of care but the sheer scale of this care is bleak and worrying. There is a high danger of things being taken too far for fear of being held responsible. There are of course legal consequences in case of an accident. That includes not just visitory but also council workers, who maintain the graveyards and work in them. 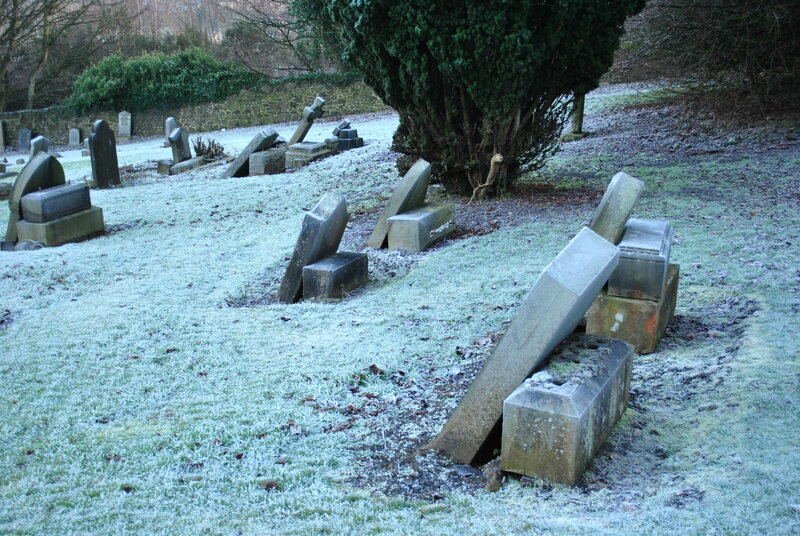 What will old and graveyards look like in the future? Many of the old headstones and monuments are historic, art, and icons of their time. Will they be destroyed for safety reasons? Especially the Victorians loved grand gravestones that have now become a danger on unstable ground. Will they all be put down by the council in charge? Or will it soon not be possible to visit an ancient graveyard because it is unsafe. We all want our children to be safe. But graveyards are echoes of the past, the stones symbols of a nation and the history of its people. We need to respect that, too. Is this the way we want to see graveyards in the future? Where do safety concerns end and where does destruction begin?